Researchers have highlighted engagement as a critical component of effective interventions for students with autism spectrum disorder (ASD), yet there is limited research related to engagement in school-age children with ASD. This descriptive study was designed to examine joint engagement and its relationship with classroom factors and student characteristics. The sample included 25 elementary and middle school students with ASD. Mixed level modeling was used to examine relationships between joint engagement and classroom factors and student characteristics. 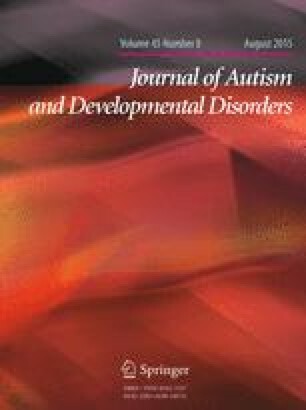 Joint engagement was significantly related to group size, use of student-directed practices, autism severity, and expressive communication skills. These findings have important implications for educational policies and practices and future research related to engagement and effective interventions for students with ASD. This study is based on the doctoral dissertation of Jessica R. Dykstra. Data Accountability Center. (2012). Children with disabilities receiving special education under Part B of the Individuals with Disabilities Education Act. Retrieved December 18, 2013, from https://explore.data.gov/Education/2012-IDEA-Part-B-Child-Count-and-Educational-Envir/5t72-4535.